After the solar hot water system was installed, the installer showed me how I could go to the controller and see the temperatures at the collectors and two different positions in the water tank. I was wondering if the data could be read remotely instead of having to go outside, open the services cupboard, take the cover off the controller and press the buttons to read the temperatures! So after a bit of googling of the controller, a Resol Delta 2008 BS/4, I found a google group called Resol Vbus which is all about these types of controllers and the vbus protocol used for communication. 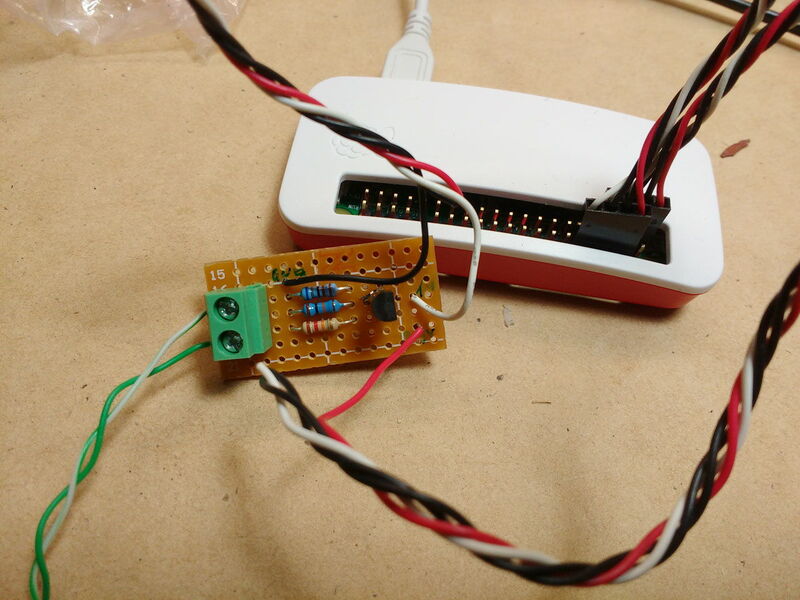 There was Resol products to log the data or to connect the controller to a LAN, but they are very expensive for what they do. 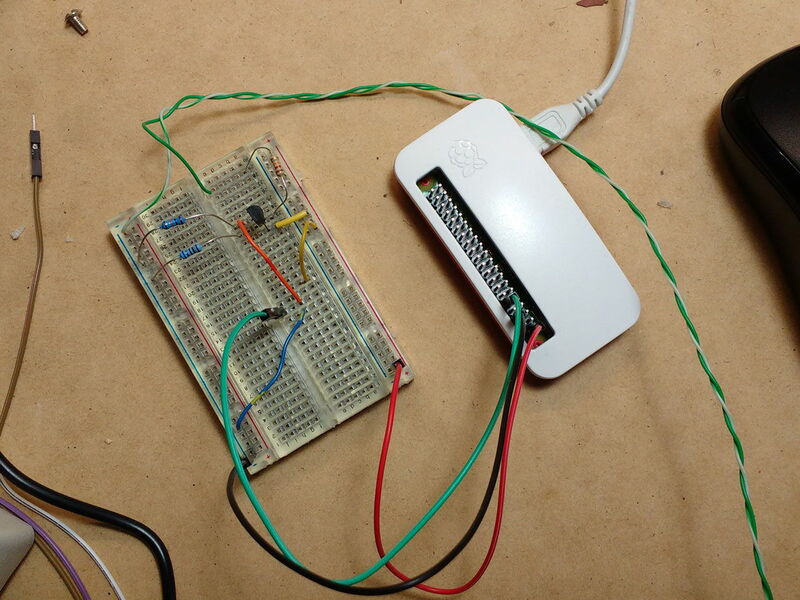 Reading through some posts on the google group, I found one which had a schematic for connecting the controller to a raspberry pi. Now that was interesting as I had a raspberry pi zero laying around. 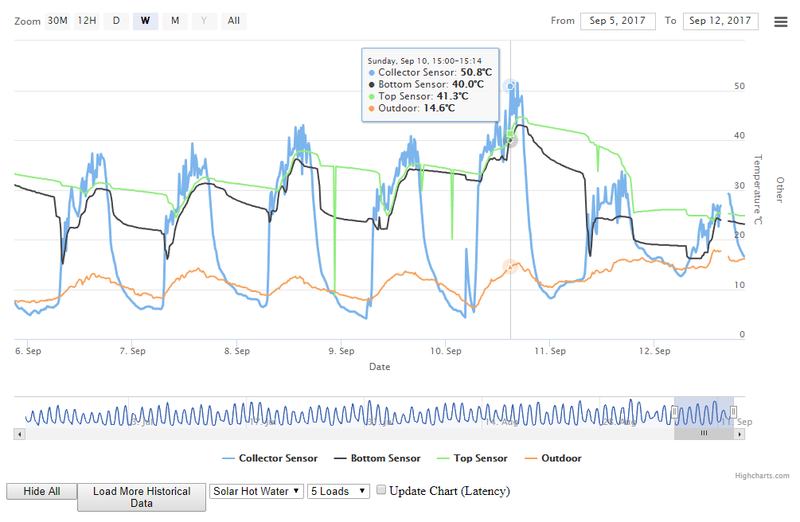 Some more googling and I found another site which the author used a Nook Simple Touch (ebook reader) to display solar pv, solar hot water and local weather data with a raspberry pi collecting and decoding the vbus data. Finding this and the hardware interface above, I thought this sounded like the way to go. All of the heavy lifting for the raspberry pi code was done by Gaz99, I modified and simplified it to just read the three sensors from the Delta controller, the collectors on the roof and the two in the water tank itself. Once I had the pizero reading the data, decoding it and saving it to a text file, the next thing to do was to upload the data to thingspeak for storing and analysis using the highstock charts in a HTML file, like I did with the Wemos temperature sensors earlier. A bit more googling and I found some code that did the job and now it is all working! Threw it all into a takeaway container to give it a little weather protection, I will find a better case for it shortly!